Most of you know that I select and process images in Adobe Lightroom. Although I have been using Lightroom from the day it came out as a Beta, I didn’t always have that luxury. For many years it was a hodge-podge of solutions. Each piece of software had its own unique skill set, and early on, Photoshop and Bridge did not even recognize a RAW photo file. So, it was one program to cull (select) my images, one to adjust, one to retouch and one to organize and yet another to deliver. As digital photography evolved, Adobe began to make all of these processes available in one piece of software, and then… Lightroom was born. But as I traveled and taught seminars, I observed one common flaw in most photographers’ workflow; so in spite of technological advancements, photographer’s remained in the stone ages. The flaw was an ignorance of a principle I call Positive Selection. Positive Selection is simply the act of recognizing the good images and ignoring the mediocre and poor images, to follow the same principles that are used in the act of “selecting” at the camera. That is, we never reject images, we only select. This is the method we use in the camera, and we are generally good at it, so you are already able to own this method of selection, you just need to embrace it. In fact, if you are not already following this method and you try my five steps to Expert Photo Culling with Positive Selection, I guarantee you will immediately cut your selection time by half. The book Blink, by Malcolm Gladwell, is about how well trained intuition is a powerful tool. Gladwell illustrates that many “choices that seem to be made in an instant-in the blink of an eye… actually aren’t as simple as they seem.” In fact, he argues that to the trained mind, these choices are made up of the instant recognition of many minute indicators which add up to intuitive knowledge. Your intuitive mind processes these factors in the background and uses them to make snap decisions that are, nonetheless, correct. In my studio, I use a principle that I call Expert Photo Culling with Positive Selection to harness this intuitive power to make selecting images quick, easy and pleasant. You too can train yourself to use your intuitive artistic nature and take the dread out of image selection. The noted author Arthur Quiller-Couch coined the phrase “Murder Your Darlings.” He meant that as a writer (artist, poet, photographer) we have to often reject parts of our work that we love because we recognize that they don’t help tell the story. This is an essential process that results in much better work, but it shouldn’t be the whole focus of editing. For many, the editing process is a painful experience. It involves hitting the Reject button one by one and killing our darlings till only the very best images remain. I will show you why this approach is not only slow and ineffectual but also degrading and discouraging as an artist. Also, I’ll illustrate how you can achieve the same results much more quickly and effectively while training your photographic eye to make better intuitive decisions even while shooting. DON’T GET REJECTED: Avoid using the Reject Button (X). Use the Pick button (P) instead. Imagine, an editing session involving 5000 images where you want to deliver 10%. In this example, if you use the Pick button to choose the best 500 images instead of the Reject button to reject 4500, that’s 4000 fewer button clicks, saving you 60 minutes of click time alone, to say nothing of the agonizing decision making time it takes to bring yourself to pull the trigger and off each one of those 4000 little darlings! SEE IN YOUR PERIPHERY: Use Survey Mode to compare a number of images at one time instead of just one at a time. I find that viewing 6 at a time is what I can effectively compare on a 27” monitor. Would you rather look at 5000 individual images or 1000 groups of 5 images? You will find another instant speed increase by surveying a group of images at one time. FASTER AND BETTER: Comparing 6 similar images at once in the survey mode will allow the best images to jump out at your already trained intuition and because your mind is making these intuitive decisions based on comparison, surprise, surprise… you will also make better decisions. And with practice, it will become easier to do and you will get even faster. As a bonus, this becomes a training exercise for better framing and decision making at the camera. Faster and better, is definitely better! YOU DESERVE ONLY THE BEST: In every group of six (or however many you choose to view simultaneously), choose only the best. Force yourself to limit your selection to 1 or 2. Don’t fall into the trap of selecting more. More is definitely less when it comes to similar images! (Watch for my upcoming blog post on The Economics of Images). Let yourself feel the images, they will almost choose themselves, like they do while you are shooting. You need to learn to trust that instinct, and you will if you practice and don’t give up on this idea. Only check focus or scrutinize images that deserve your attention, the rest don’t matter and will only cost you time. There you are, saving time again and murdering your darlings without really even knowing it. Don’t feel bad… I never do. CLOSURE IS FOR BAD RELATIONSHIPS: Give up the idea that you need to have closure on every image. You do not need to build a coffin for every dead image and you are certainly not obligated to deliver every half-tolerable image you shoot to your client. It’s your job to deliver the best images. The ones that tell the story best. The ones that stand out. The other images are automatically rejects because they were never selected. Don’t try to relate this to your high school senior prom, or your grammar school crush, otherwise, you get all depressed about the rejection in your past. This may sound harsh, but you are not only being hired as a photographer, but you are an editor as well. When I asked my wife to marry me, she rejected every other potential suitor by saying yes to me. She didn’t open the phone directory and call every other man in town and tell them they were rejected. They knew they were rejected by the fact that she married me. She didn’t need to rub it in. At the end of the day, it’s a numbers game. Giving your attention to images that aren’t standing out is just a waste of clicks and screen time. This approach might be uncomfortably foreign to you. If so, I am even more excited for you to try it. I want you to experience the life-changing power of these principles. They will take the pain out of editing and strengthened your powers of perception. Furthermore, if you stop focusing on your fails and focus on your wins and you will be much more connected to your inner voice. When you are shooting, you will begin to see this same positive selection mentality control what you point your camera at and when you click the shutter button. Because what is photography at its very core? It is the act of selection! Positive Selection will speed your image editing process and train you to be a better more intuitive photographer. Do you have any editing tips that have made your image selection faster or more pleasant? Do you have a favorite kind of music that gets you moving? If you are about to mention your favorite TV show you like to watch while editing, please think about that… yep, you see the problem with that? Good. Now post away, I’d love to hear your responses. Also, be sure to click the “Also Post on Facebook” checkbox when you comment. And if you have a friend who needs an intervention, make sure to tag them in your Facebook post, we will all help them through their issues. Look out for my coming PDF download on the Ultimate Data Security System, coming soon. As a professional photographer, doing everything in your power to avoid data loss or corruption is part of your job. Many years ago, I sent my film to the lab and waited a day or two on pins and needles while it was being processed, hoping nothing bad would happen to that film. In many local photo labs, complex chemical processes were often overseen by pimply faced kids with little to no experience and shipping film to a extreme pro lab was just as scary because of the transit. Occasionally, the ball got dropped and film got destroyed. I once had a lab rip a roll of film from end to end, leaving one usable frame out of 36 (I have no idea how). More frequently though, photographers would set their cameras incorrectly, with no way to tell for sure what they had done, until the film came back with nothing on it. Solution? Reshoot. If you shoot weddings like I do, you know that is just not an option. 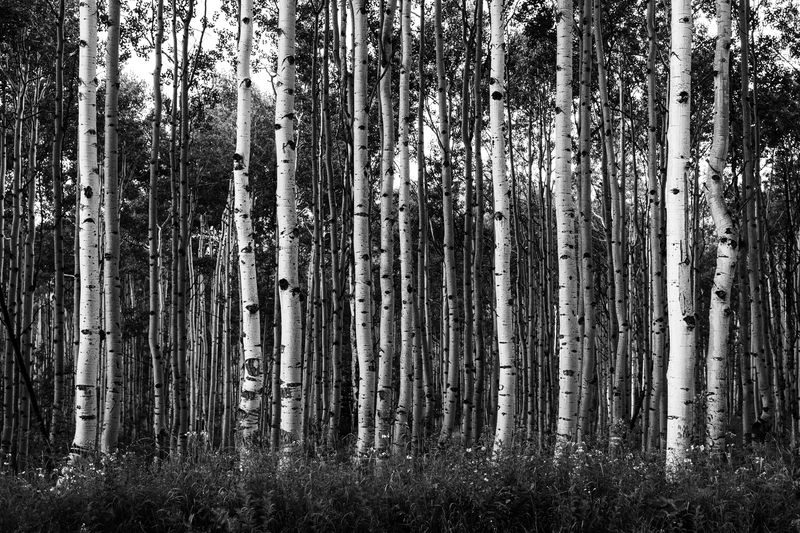 Of course, some photographers still shoot film, or have gone back to it (don’t get me started). While more reputable labs, have a professional overseeing the chemistry with very few mistakes, photographers are still waiting on pins and needles for FedEx or UPS to safely deliver their film to those reputable professional labs (and no, there isn’t a reputable lab in every large city, despite their claims). It is hard to argue that we haven’t taken a major step forward with digital technology. Today you can fire the shutter once, get two duplicate images on two separate cards, look at the image on the back of your camera to make sure it’s right, download it to a RAID 1 hard drive (I use the CRU Tough Tech Duo) which makes a fourth duplicate instantaneously, then upload a backup to a cloud service which makes a series of backups across its servers throughout the world. And all of this can be done before your assistant can drive to the nearest FedEx, or local Film Lab. Even with these advances, things can go horribly wrong. Only now, instead of losing a roll of film with 36 exposures, there’s the potential to lose hundreds and hundreds on one card. And when you capture tens of thousands of images in a month, it’s only a matter of time before fate catches up with you! Fortunately there are a few simple steps you can follow to protect yourself from digital catastrophe. MORE CARDS: Always carry more than enough cards for the entire shoot. Downloading and reusing cards at a shoot is just begging for trouble. This is so basic that it is hardly worth mentioning, but if you are guilty of it, you need to stop and seriously re-evaluate your professional practices. FORMAT UP FRONT: Another simple way to avoid data loss is to format all your cards before you start shooting. I format all of the cards I am using before I leave the studio. That way, if I find a card with no capacity, I know I shot it that day. INSTITUTE A SHOT SYSTEM: Create and adhere to a system for designating full cards. I use a plastic, hard sided weather resistant card case. When I load it, I put the blank cards in face up and after they are shot, I put them in face down. And it goes without saying that everyone on your team must follow the same practices, so there are no accidents. KEEP YOUR CARDS CLOSE: To avoid lost or stolen cards, I keep my case for the day in my front pocket or in a sling bag. Under no circumstances is it professional to set your cards down, place them loosely in a coat pocket, or leave them in a “safe place” off your your immediate person. Think of that case of cards as being worth – like – your whole professional career. DO NOT DELETE IN CAMERA: Never delete images in the camera. This is just begging for data corruption. A freshly formatted card makes all of it’s capacity available to the camera for storage. Once you delete a file, the camera starts breaking images up and writing them to the disk in unpredictable ways — a little here, a little there. This can have a negative effect on disk indexes and data trees. USE QUALITY CARDS: Use quality CF and SD cards. I use Sandisk Extreme Pro 120MBS UDMAZ 16 or 32 GB cards, depending on which camera I am shooting. I like to limit the number of files a card can store to around 250. Sandisk cards have never failed me yet, but if you have a trusted brand, stick with it! Cheep is not worth it. Don’t go looking for random deals on cheep cards. SHOOT MULTIPLE COPIES: If you shoot with a camera body that allows for simultaneous SD and CF capture, take advantage and shoot full-size RAW files to both cards. This is probably the best overall system to avoid data loss (I use the Canon EOS 5D Mark III). It takes only an extra few seconds to switch cards, but the first time you lose a card, you will bless the extra time you took for added security. SEPARATE THE COPIES: Once the shoot is over separate your primary and backup cards and store your backup cards in a different location. When I am traveling, I keep one copy in the card case on my person and the duplicate cards in the hotel safe. When working from my studio, I take my backups home until the shoot is in the can. In the can means, I have copied the files to my workstation, backed them up and confirmed they are free from corruption by reviewing them in Lightroom. WAIT TO REUSE THE CARDS: Don’t ever reuse cards until you know your data is secure. NO SECOND CHANCES: My final step to avoid data loss is to immediately dispose of any card that you suspect as unreliable. The minute I suspect a card is having any issues whatsoever, I download backup and confirm the data and put the card out of commission. This is done by drawing a large black X with a sharpie marker and once the job is completely confirmed, the card is broken in half and thrown away. If I become suspicious of a card while I am shooting, I pull it out or commission on the shoot, mark it and start fresh with a new card. Do not continue shooting on or working with a card that even hints at having an problem. By maintaining complete control over my cards and by following these steps to Good Card Hygiene, I am able to say that I have never lost or misplaced a single client image in my entire career. This is because I am fanatical about my adherence to these basic rules and my card hygene. Those who do not follow them are doomed to suffer the consequences of loosing their data and the disappointment that is sure to follow. If you have additional techniques to avoid data loss to add to this list, or card brand recommendations, post them below for everyone’s benefit. Please post your comments to Facebook as well. Look out for my next post on how to reduce your image selection time by more than half through the simple technique I call Positive Selection. Additionally, look out for my coming info graphic on The Ultimate Image File Security Workflow — never lose data again! The Profoto B2 is the most versatile compact lighting solution in my arsenal. When you are in the studio, there are a lot of great choices for lighting systems, but for quality, durability and ease of use, Profoto lights are unbeatable. They have a well earned reputation as world-class lights. Not too long ago, Profoto came out with a powerful, portable, battery powered monohead called the Profoto B1. These lights are fantastic for any size photo shoot. They are radio controlled from your hotshoe, using the Profoto – Air Remote TTL-C — syncing and changing power settings from your camera is a snap. These lights have been well thought out on every level and till now have been my first choice for location lights. This year, the light shaping geniuses introduced the Profoto B2 lighting system. Not as powerful as the B1 these little dynamos still pack plenty of punch for most portrait applications, and they accept the full range of Profoto light shaping tools. What makes these lights very attractive is that by moving away from the monohead model to a small strobe head with a battery-pack, Profoto has made an incredibly light and versatile little unit. The Profoto B2 is small enough that you can even mount it on camera if you don’t want to bring an assistant or use a stand. My favorite setups include a small softbox or a large silver umbrella, wielded by an assistant. Which I use depends on how much light I require. The Silver umbrella is great if I need to overpower the sun whereas the softbox works best when the light is even and I want to create direction for added drama, but still maintain a soft feel. Two heads with white umbrellas on stands is another easy setup for large groups and can really make a dim situation bearable. Finally the Profoto B2 lights work seamlessly with my B1 lights and all of my Profoto lights are controlled through my Profoto – Air Remote TTL-C which sits on the hotshoe of my camera. With my Profoto B2 lights as my first go-to choice for many situations and my B1 lights in backup for when I require more power, I truly have enough lights to shoot for a day on location and never plug in. And, I can do so with a rapidity and efficiency that makes shooting a joy. While this is an unsolicited review, I am sponsored by Profoto and Profoto will be providing complete lighting kits for my Photography and Workflow Workshop attendees to use on location. I am excited for my students to get to use this equipment to make some amazing images. I’d like to introduce you to a very special photo instructor who will be making a regular appearance on my blog and Youtube and Vimeo channels as well as making several appearances at my workshop this February in Arizona. For all of you film and film look lovers out there, she has put together a little lesson on making pictures with a HOLGA camera! 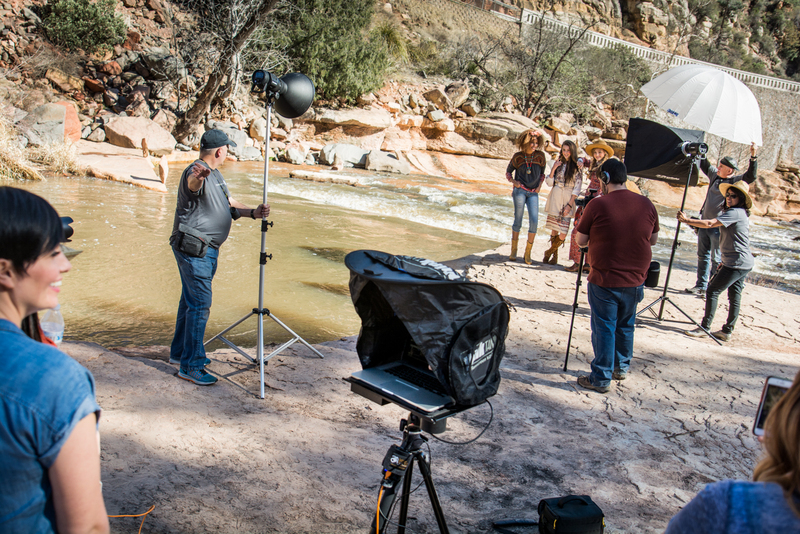 Join Indiana and me at my workshop this February 17-20, 2016 in beautiful Arizona for a life changing photographic experience with four full days of photography and workflow education. This is where you will learn to get better images, and deliver them faster so you can focus on what really matters in your life: family, God, you, marketing, more photos… you pick! Using custom camera settings can mean the difference between getting the shot at just the right moment, or missing it entirely. One important distinction between a skilled photographer and a person taking snapshots is the ability to rapidly adjust to changing lighting conditions. Pros also develop a second-nature ability to properly adjust their camera. Being prepared to shoot in all sorts of lighting conditions takes planning and practice. One of the ways to ensure that you are ready to shoot when the action is happening is to make use of custom camera settings. Weddings are especially challenging because of all of the different environments you shoot in. Take for example a church. Inside the church, you may or may not be allowed to use a flash. The stage might be brightly lit where the audience is only dimly lit. There may be windows or not. Certain events happen very quickly and depending on which direction you are facing to get the action, you might need a different exposure mode ie shutter, or aperture priority or manual; you might need flash compensation, or a different iso. Making all of these changes in the heat of shooting, every time you turn around is distracting and time consuming. the distraction might be enough to cause you to miss the first kiss or the bride and groom coming down the aisle. Imagine you are shooting a wedding in a church. One great use of custom camera settings in this scenario is to come to the church early and scout your shots. Turned toward the podium, set your camera to the settings that work best for that environment. Using your camera’s menu, set that as custom setting one. On my camera, a Canon 5D Mark III I choose that custom setting using the c1 position on the top left dial. Now, turn back toward where the audience will be seated and set your camera exposure settings for that direction — set this as custom setting two. For setting three you may choose to set your camera for when the bride and groom exit the church with the dark church entrance behind them. You can set pretty much anything you want including file size, raw or jpeg, focus mode, drive and silent or high-speed shutter mode. Make sure everything is exactly the way you want it when you set your custom setting. Especially the manual, aperture or shutter speed priority modes. These three modes are really the only thing you can’t change within the custom setting after it has been created. Once you have created a custom setting in one of these modes it remains in that mode. That is a manual custom setting an aperture priority custom setting, or a shutter priority custom setting. Once you switch to a custom setting, however, you can change anything else that you want to, like focus point or exposure compensation. The custom setting acts as a starting point and you can adjust for environmental conditions from there. As with any camera technique practice brings mastery. Spend time creating custom settings and working with them. You will find that you are better prepared to capture those rapidly changing situations. I like to be ready and never miss a shot so custom settings are an important part of my professional tool bag. Linking Speed-lights together is a fantastic way to increase the volume of your shot, dramatically emphasise your subject and tell a better story. When shooting events, frequently you are in a place with poor lighting. It’s your job as a photographer to make your subject look amazing no matter what the available light is like. This video will show you the basics of linking your speedlights to all fire in sync with your camera and how they can be controlled from your master speedlight. Shooting receptions and parties can be a lot of fun. There is usually a ton of action not to mention poignant emotions like love, and humor. Lot’s of shots from these events look like snapshots – overly contrasty and lit from a single source. Bouncing light off a wall or ceiling helps, but can only take you so far toward your ultimate goal of rich vibrant images. By placing speedlights at various points around the room you can greatly enhance the drama of your shots. Try linking speedlights to create different effects. Hair-lights separate the subject from the background, cross-lights bring out detail by building contrast; background-lights fill in the background adding it to the story — especially in large open environments; and fill-lights soften the light on subjects, adding to their beauty. You can use a number of tools to place the lights where you want them, including a variety of stands and wall mounts. A photograph taken while linking speedlights properly will emphasize the natural drama of, say, a bride and groom’s first dance. Start with a master speedlight on your camera rather than a transmitter only. This will provide syncing capability, a backup light in case you have to grab a quick shot away from your setup and equally important the focus assist beam on your speedlight makes it possible for you to focus in very dark environments. Using the link button, you can slave your disconnected speedlights to your master flash and once you have them linked, from your master flash you can set up your groups, change their mode, or turn them on and off. When shooting an actual event like a wedding reception, plan ahead for your most important moments such as cutting the cake or tossing the bouquet. Discuss with the bride or DJ where these events will happen and plan your vantage and lighting accordingly. The best way to become skilled at linking speedlights is to get ahold of a few speedlights and go out and practice with them. This video shows you how to set up your speedlights to be in sync with each other, but being ready to shoot requires rapid deployment and changes to the settings. So, once your lights are set up, familiarize yourself with rapidly changing the settings on multiple lights. Learn to turn them up or down and on or off light – that way you can adjust or disable any lights that are causing you problems, or turn up lights that are making an effect you want to emphasise. Practice, practice, practice is the key to success with this technique. Pretty soon, making adjustments becomes natural, and you will see a significant increase in the drama and beauty of your photographs. Your audience will ask you again and again “how did you do that?” and “how come my shots don’t look like that?” and that, my friend is what makes you a pro. If you would like to be among the first to be notified of new videos and free downloads as they are released, be sure to sign up for our newsletter. 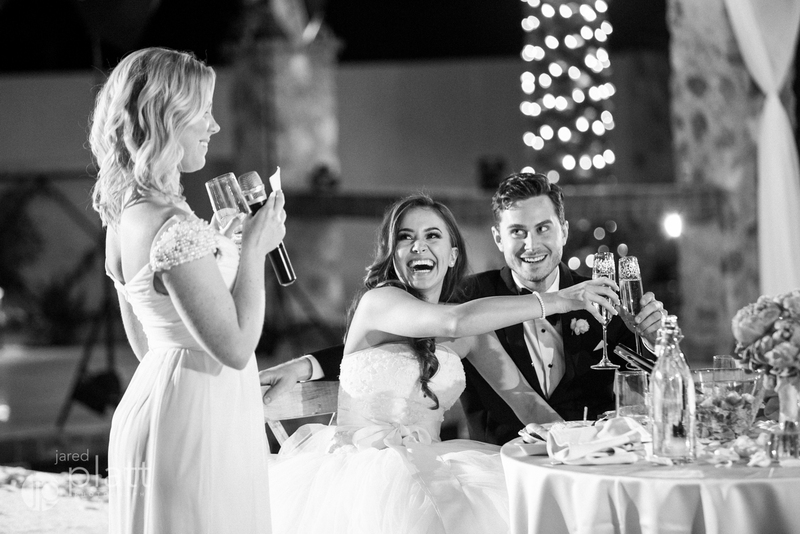 Ben and Alli were married in Gilbert, Arizona. It was a perfect wedding! So perfect, that I had a very hard time choosing the images for the slideshow. Enjoy my favorites… and check back again for more of my favorites posted as stills in the blog post. Slideshow music by Kevin Burdick, courtesy of Triple Scoop Music.